James Guy won his second title at the British Swimming Championships 2017 with a personal best in the 200m Butterfly. The double Olympic relay medallist was fastest in both heats and final in Sheffield, ultimately touching in 1:55.91. The time moved Guy up to third in the historic British rankings behind Michael Rock and Athens 2004 Olympic medallist Steve Parry. While Guy’s time didn’t quite threaten Rock’s British record of 1:54.58 from the 2009 World Championships, it was the fastest time by a British swimmer since that event. And Guy, who picked up the 400m Freestyle crown on day one in Sheffield, admitted he was feeling the benefits of a change in scenery since Rio 2016. “I feel great,” said Guy, whose previous PB had been a 1:57.05 from the Arena Pro Swim meet in Indianapolis last month. “That’s my first 200m Fly in four years tapered and to go 1:55.9 is a great swim. Stockport Metro’s Holly Hibbott picked up her first senior medal of the Championships with silver in the 800m Freestyle. The 17-year old pushed Welsh swimmer Jazz Carlin all the way as she went stroke for stroke with the Olympic silver medallist in the fastest heat. Carlin ultimately had too much as she pulled away in the final 50m to take gold in 8:30.56. But Hibbott emerged with plenty of credit, as well as a British medal, as she came home in 8:31.78, missing her PB by just 0.22 seconds. 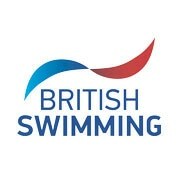 Click here to view full results from the British Swimming Championships 2017.